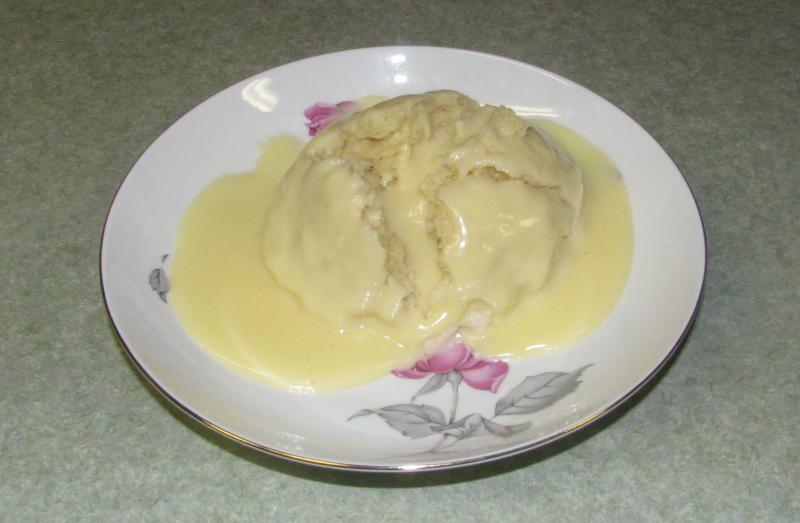 Dampfnudel - Steamed bread dumpling shown here with our vanilla sauce. We can serve it with any number of toppings including caramel, ice cream or any fruit sauce. 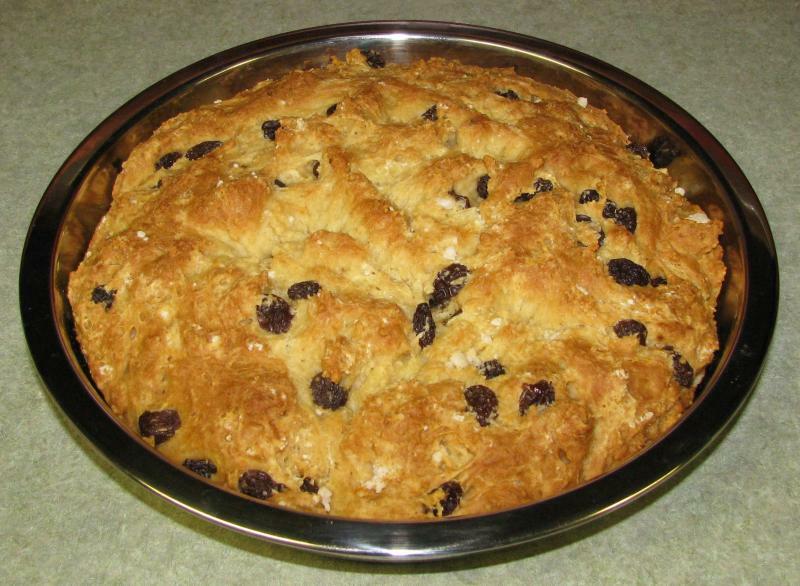 Can also be served with sauerkraut, bacon and sauted vegitables as a dinner. 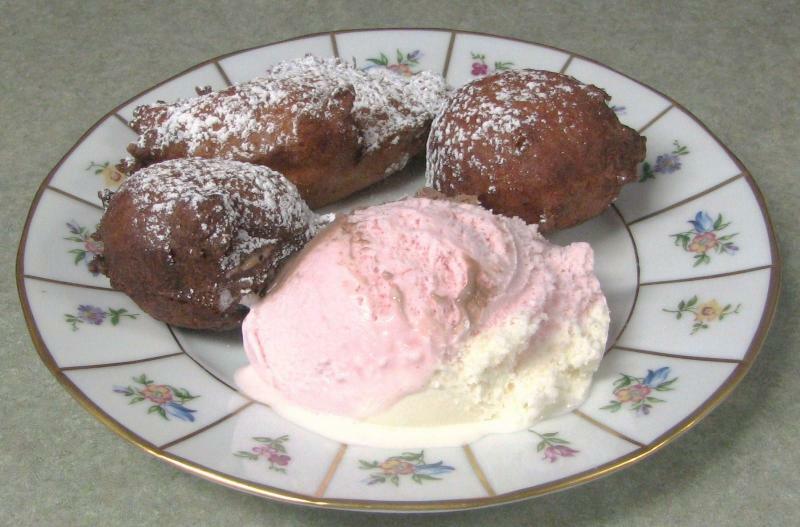 Quarkspitzen - A deep fried quark pastry served with ice cream. Apple Cake with Sour Cream Topping - Sliced apple, cinnamon and sugar baked in a sour cream topping. 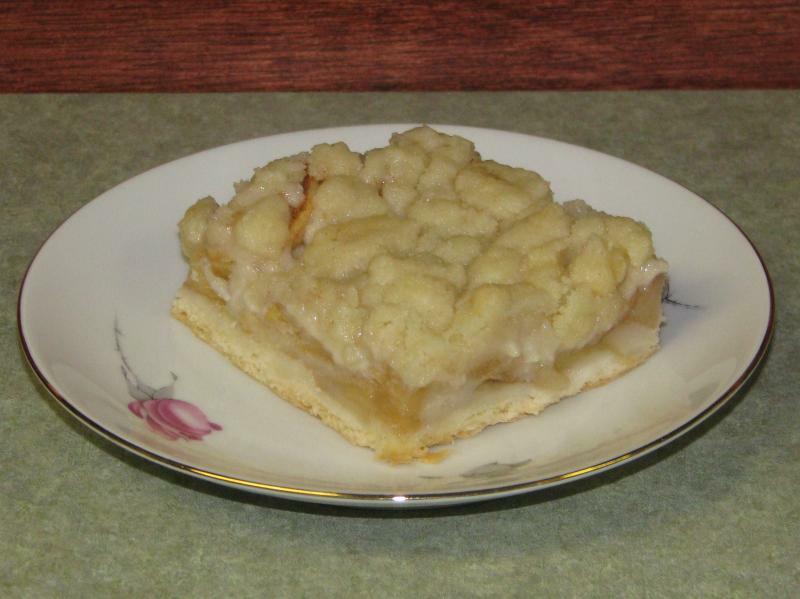 Apple Crumb Cake - Baked sliced apple, cinnamon and sugar with a crumb topping. 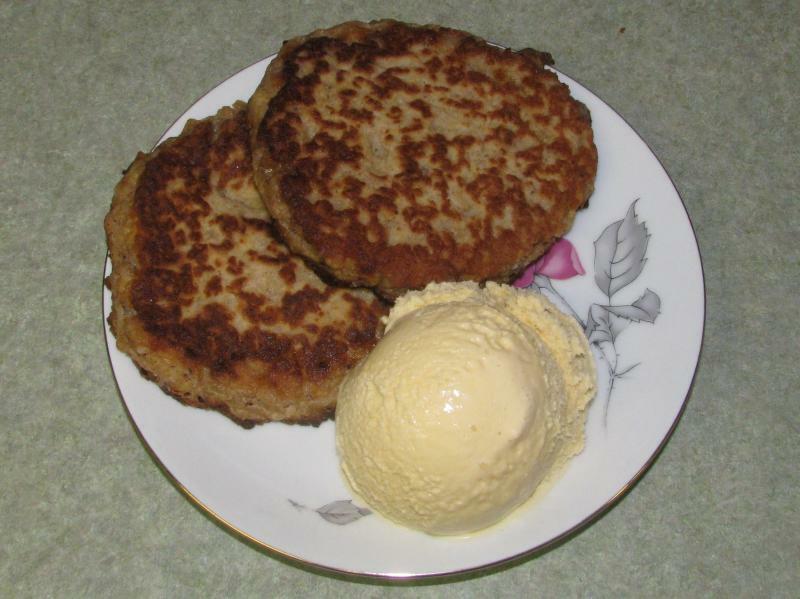 Apple Pancakes - Sheaded apple in batter, pan fried. Shown here with vanilla ice cream. Can be served with many toppings including peach sauce. Can also be served with breakfast or as a compliment to any pork dish. 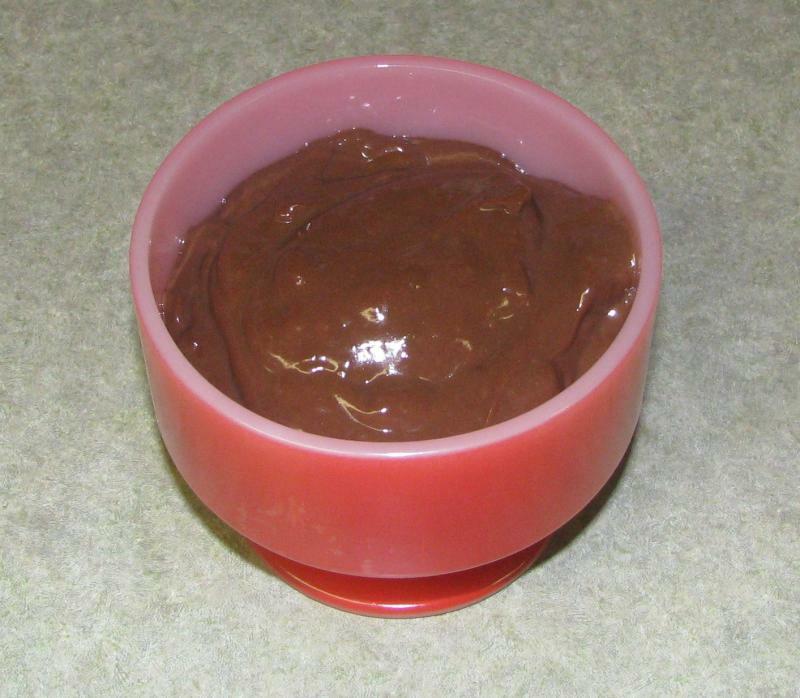 German Chocolate Pudding - Homemade chocolate pudding.